Will is using Smore newsletters to spread the word online. 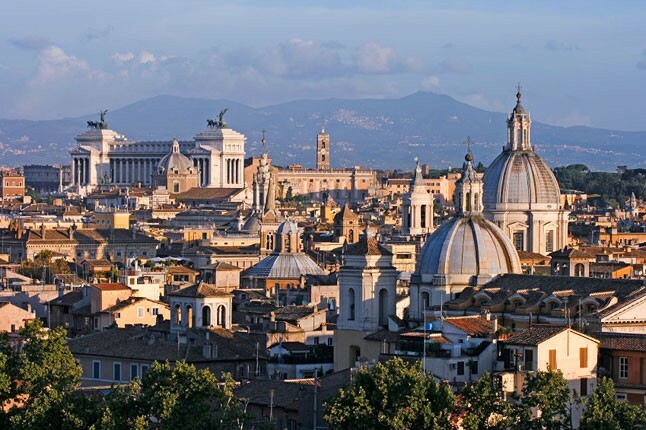 Beginning with the ancient Roman Empire, Italy has long been renowned for its historic artwork, operas, movies, architecture, food, wine, and landscape. It’s the home of the Pope and the birthplace of the Renaissance. 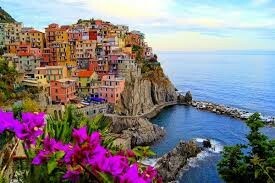 It is widely known for its sun-drenched countrysides, intoxicating vineyards, and “la dolce vita” – the sweet life. Yet it is also notorious for corruption, its ties to crime families, and precarious politics. Italy became a nation-state in 1861 under King Emmanuel II. Mussolini established a fascist government in the early 1920s and allied the country with Nazi Germany. Post WWII, Italy has had numerous governments, sluggish economic growth, organized crime, the lowest birth rate in Europe, and an aging population. However, the longest recession in Italy’s history ended in September 2013, and its economic outlook is improving. Giorgio Napolitano is currently the longest-serving president in the history of the Italian republic. 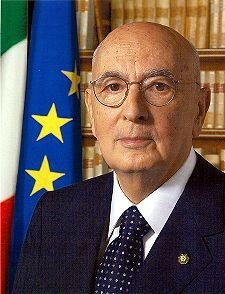 Installed as president in 2006, he is called Re Giorgio (King George) by the media. The 87-year-old former Communist and atheist ran and was re-elected in April 2013. 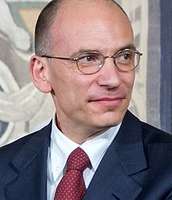 Enrico Letta has been Prime Minister since April 17, 2013. 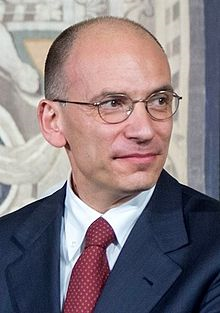 Prime Minister Letta is currently fightly fiercely for the survival of his government with two parties and its program of political and economic reform. A current government concern is illicit drug trade. Italy is a gateway for and consumer of Latin American cocaine and Southwest Asian heroin. Organized crime families smuggle the drugs into the country and do money laundering in Italy. Historical political event: Mussolini was elected Prime Minister in 1922. In 1925, he changed history and set himself up as a dictator of the country. He founded fascism, a form of government where a dictator pushes the population toward his goals and where the nation as a whole is considered more important than individuals. 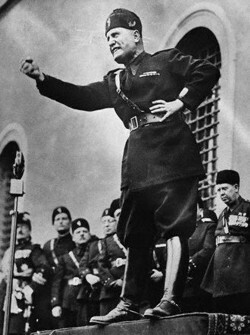 No one was allowed to question Mussolini’s power, and he was called “Il Duce” (the leader). 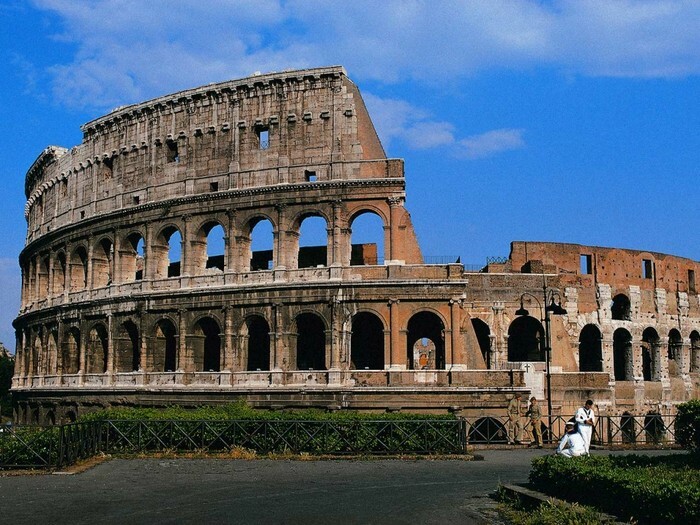 Historical monument: The Colosseum is included into New 7 Wonders of the World. It is one of the most impressive, largest buildings of the Roman Empire. Emperors used the Colosseum to entertain the public with free games. The games were immensely popular with the people and lasted for several days. They usually began with comedy acts and displays of exotic animals. They ended with fights to the death between animals and gladiators. 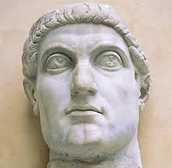 Person who changed history and how: Emperor Constantine converted to Christianity and issued the Edict of Milan in 313. This ordered everyone in the Roman Empire to convert as well. 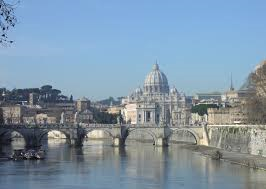 He then began building a basilica over the tomb of St. Peter. Agriculture – Agriculture represents 2% of the GDP. The principal farm products are fruits, vegetables, grapes, potatoes, sugar beets, soybeans, grain, olives and olive oil, and livestock (especially cattle, pigs, sheep, and goats), and fishing. In addition, much wine is produced and exported from grapes grown throughout the country. Major economic activities: Italy has the 9th largest economy in the world, and it is an agro-industrial country. The whole country is divided by the economic activities of its two regions – Northern Italy and Southern Italy. The Northern region is richer and more industrial, while Southern Italy is predominantly agricultural. Its major economic activities are industry (30% of GDP), agriculture (2% GDP), tourism, engineering, steel, chemical products, clothing and footwear, ceramics, motor vehicles, food and beverage, and petroleum. The Camorra crime syndicate, the Mafia, has been dumping toxic waste in Naples and Tuscany, two popular tourist areas. 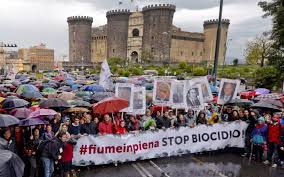 In 1994, the EU declared the situation in Naples an environmental emergency. The situation has grown worse, as evidenced by mutant sheep, poisoned mozzarella, and alarming rates of cancer in the Naples region. In Nov. 2013, thousands marched in protest of the waste that is now leaking into water supplies and damaging farms. 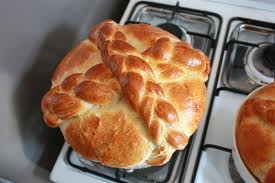 Judaism – 0.1% even though it is the longest-established religious faith in Italy. During WWII, about 15% of Italy’s Jews were killed. 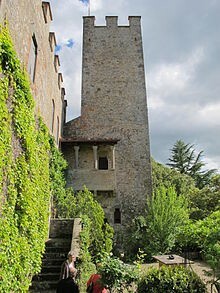 That combined with emigration both prior to and following WWII reduced the Jewish population in Italy to about 45,000. 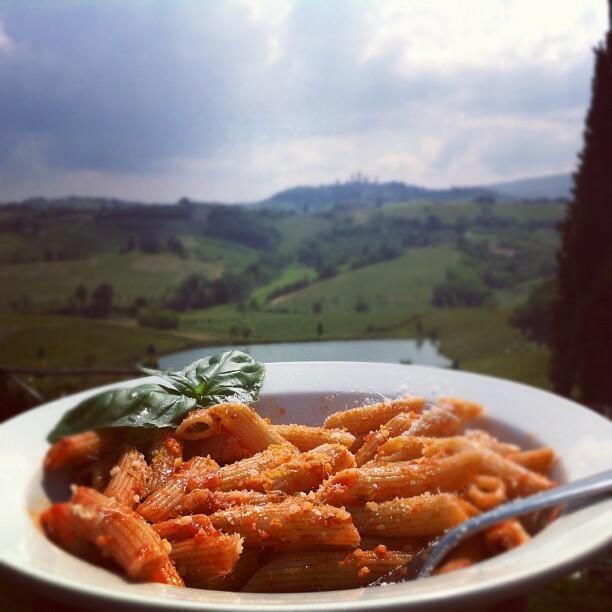 Italy is considered one of the culinary capitals of the world. 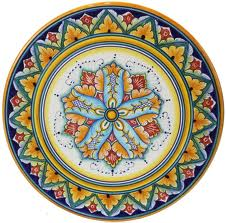 Gastro-tourism abounds there with people eating, drinking, and traveling from one region to another to enjoy Italy’s food and wine. 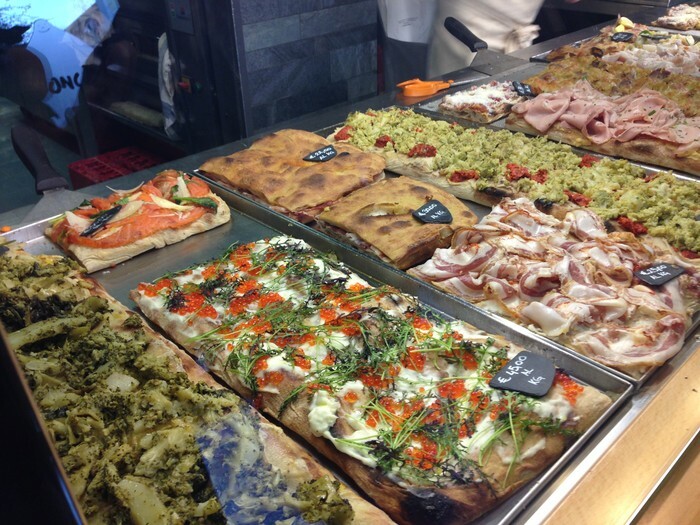 Every town and city in Italy is dotted with charming piazzas to eat in, and gastro-tourists often outnumber the local population. They create a frenetic energy, buzz, and commotion around the restaurants, with locals and tourists enjoying cultural foods at long communal tables. 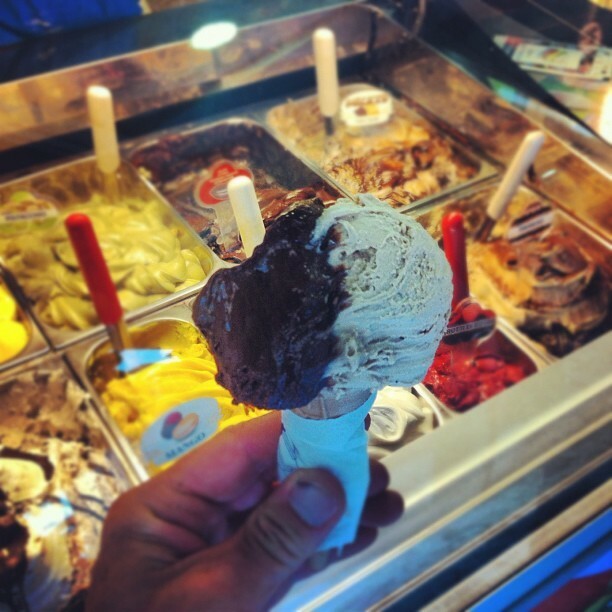 Italy’s cultural foods include pasta, lasagna, pizza, risotto, minestrone, zuppa di pesce, beans, ossobuco, scaloppini di Vitello, Zuppa di Cozze, Parmesan cheese, tiramisu, and gelato. Primo Michele Levi – a Jewish Italian author and chemist who wrote about surviving at Auschwitz. He later wrote The Periodic Table, named as the best science book ever written by the Royal Institution of Great Britain. Dan Brown’s best-seller, Angels and Demons, was set in Rome. Many tour companies take people to visit the famous sites mentioned in this book. 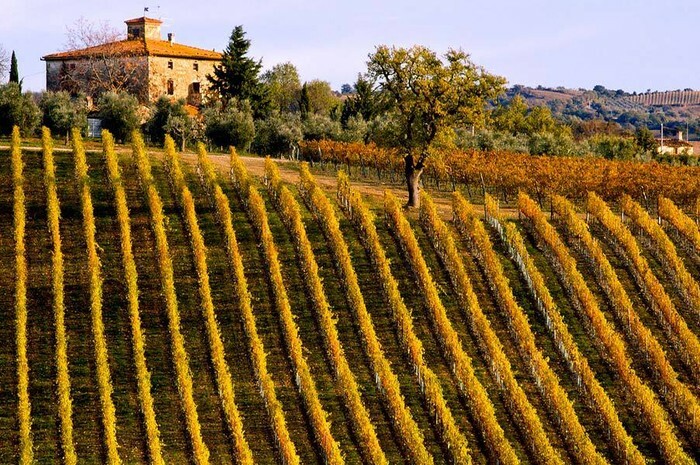 Eat Pray Love was partially set in Rome, and Under the Tuscan Sun attracted many tourists to the Tuscan wine country. The Renaissance was the most revolutionary period of music in European history. The Renaissance and Leonardo da Vinci – musicians, poets, architects, painters, and sculptors of the 16th century - rediscovered values of classical Greece. Da Vinci said that music was “the simultaneous conjunction of proportional parts.” He studied the sounding of notes together based on simple ratios, such as 2:1 (an octave) or 3:2, a fifth. Claudio Monteverdi, 1567-1643, member of the Florentine Camerata, invented the modern opera and is best known for Orfeo. Luciano Pavarotti and Andrea Bocelli are two famous opera singers from Italy. Antonio Vivaldi is a classical composer known for the Four Seasons for symphony. Italy is also known for its “restaurant music” – many are sung by the gondoliers as they paddle gondolas down the Venice Canals. Restaurant music made accordions famous: Funiculi Funicula, Come back to Sorrento, Cielito Lindo, Ciribiribin, Carnival of Venice, Santa Lucia, O Sole Mio. Frank Sinatra was born to Sicilian parents and nicknamed the “Italian Crooner." Il Volo is an Italian pop trio that sings "restaurant" music and has made it famous in America. Movies in the late '50s and '60s made Italian pop songs even more popular – Roman Holiday, La Dolce Vita, Three Coins in a Fountain, Rome Adventure. 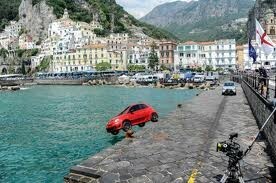 Location: Italy is located in Southern Europe. It is a peninsula extending into the central Mediterranean Sea, northeast of Tunisia. Map of Italy, the "boot"
The nomads arrived in Ukraine in the first millennium BC. Cimmerians, Scythians, Sarmatians, and Goths – they established trading outposts with the Greeks and Romans. Slavic tribes settled central and eastern Ukraine in the sixth century AD. 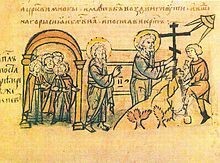 In 988, Prince Volodymyr converted the Kyivian nobility and most of the country to Christianity. During these Medieval times, Ukraine was part of the powerful Kievan Rus. The country prospered until Mongols razed Kyiv in the 13th century. Poland and Lithuania quickly annexed the country, but the Ukrainian peasants fled and formed an army, called the Cossacks. Soon, Ukraine became synonymous with “fierce martial spirit” and “love of freedom.” In 1932-33, the Soviet government created an artificial famine in Ukraine, causing the death of 3 to 7 million Ukrainians, and in 1939, Ukraine was folded into the Soviet Union. The Nazis invaded and killed more than one million Ukrainian Jews and ethnic Ukrainians. After WWII, Ukraine was again incorporated into the Soviet Union. Much resistance took place, and in 1991, Ukraine was the first Soviet bloc country to gain its freedom from the USSR. Current government event or concern: Euromaidan is the political decision about whether or not Ukraine can join the EU or if it will turn back to Russia. Hundreds of thousands of Ukrainian citizens peacefully protested President Viktor Yanukovych’s stance against joining the European Union (EU), but subsequently lost. The president sent “hired thugs” to beat up the protest leaders. The U.S. has placed travel sanctions against Ukraine because of the violence. Pres. Yanukovych had been pro-EU until Russia offered $15 billion to pay off Ukraine’s debt. 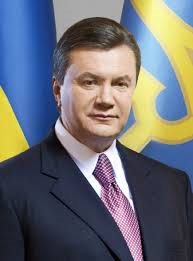 Yanukovych has run the economy “into the ground,” so he desperately needed Russia’s bail-out help. Many suspect that Yanukovich gave Russia some control over Ukraine’s gas pipeline. 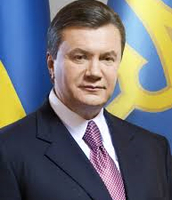 While Ukraine remains a democracy in title, Yanukovych is acting more and more authoritarian. 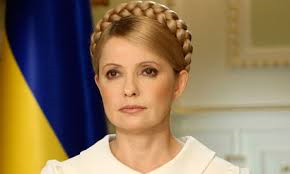 When he was elected, he threw his opponent, Yulia Tymoshenko, in jail and beat her. The EU insists on her being freed. The next election is in Feb. 2015. Historical political event: On August 24, 1991, following the dissolution of the Soviet Union, Ukraine declared itself an independent state. 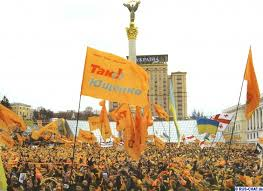 On December 1, 1991, A peaceful mass protest called the "Orange Revolution" in the closing months of 2004 forced the authorities to overturn a rigged presidential election and to allow a new internationally monitored vote that swept into power a reformist slate under Viktor Yanukovych. 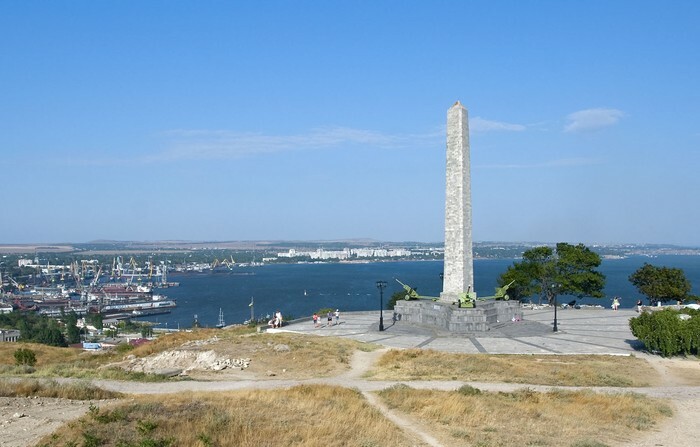 The apostle Andrew preached on the southern shores of the Black Sea and brought Christianity to Ukraine. Today, the country celebrates Orthodox Catholicism, and statues of Andrew dot the cities. Supposedly when Andrew came to a hill in Kyiv, he took out a cross and placed it in that spot. He prophesied that a “great Christian city” would be built there in the future. Agriculture: Represents 9% of the national GDP and employs ¼ of the working population. Ukraine has the largest area of agricultural land in Europe with approximately 43 m hectares of land out of which 32.5 m ha are used for crop production, thus its nickname, "breadbasket." Crops include wheat, corn, sunflowers, sugar beets, tobacco, legumes, fruits and vegetables. Ukraine has 4th place on the world grain export market. 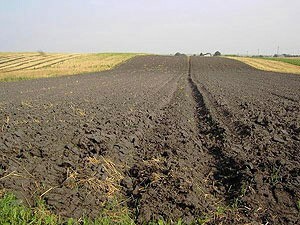 Ukraine’s rich, black soil is one of the country's greatest resources - 30% of the world’s black soil is in Ukraine, and it is becoming increasingly important to the rest of the world. 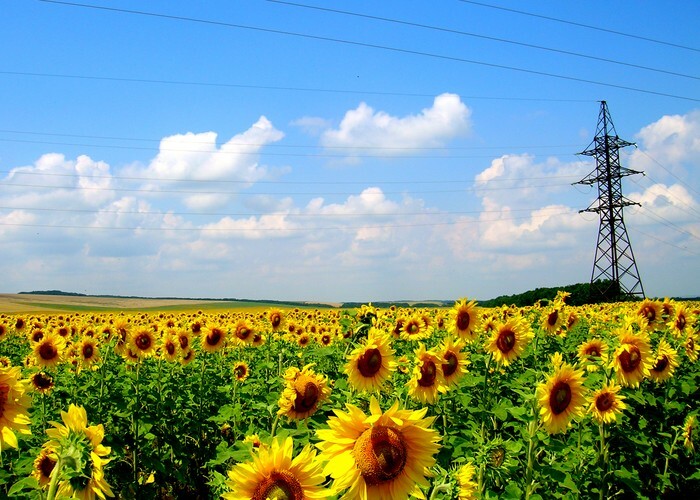 In 2011, Ukrainian food exports reached $12 billion, an increase of 28.5 percent over 2010, led by sunflower oil, in which Ukraine is the world export leader. Major economic activities: Coal, iron ore, manganese, magnesium, mercury, nickel, titanium, graphite, kaolin and sulfur are the natural resources of Ukraine. 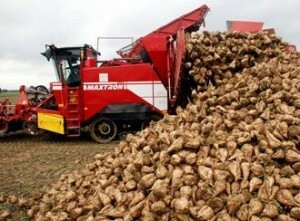 Food grain, sugar beets, vegetables and sunflower seeds are the major agricultural products. 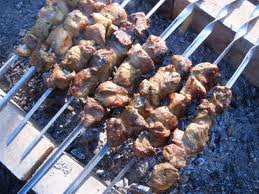 Dairy products and beef processing are other important agriculture based activities. Mining is a major primary economic activity in Ukraine. Agriculture accounts for approximately 9% of GDP and provides employment to nearly 25% of occupied labor force.The industrial sector is dominated by iron and steel industry. Petroleum products, power generation, heavy machineries, transport equipments, chemicals, and food processing are other major manufacturing industries. This industrial or secondary sector employs about 20% of the available labor force, and contributes over 32% towards GDP. 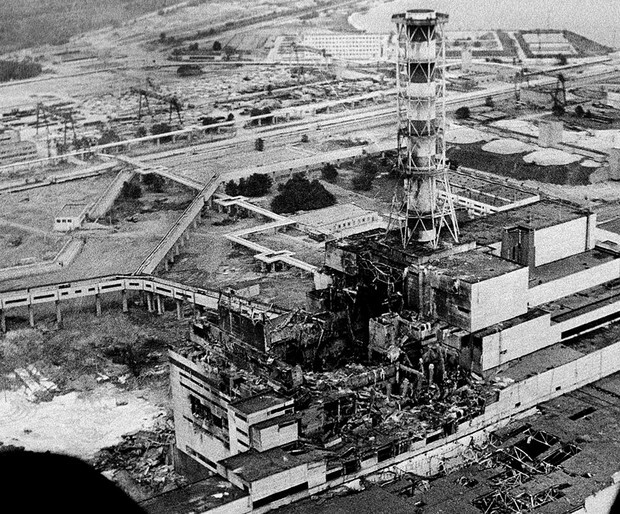 Chernobyl is the world’s worst man-made disaster. On April 28, 1986, a flawed reactor design was operated with inadequately trained personnel and exploded due to a poorly planned safety experiment. The explosion contaminated 100,000 sq. miles of land in Ukraine and Russia, and immediately killed 31 people. An estimated 6000 people died from exposure to radiation from 1986 to 2006. It was a direct consequence of the cold War isolation and resulting lack of safety culture. Chernobyl is 130 km north of the capital, Kyiv. The Dnipr River divides Kyiv and most of Ukraine into Western and Eastern regions. The western region speaks Ukrainian and will put Russian-speaking people in jail. The eastern region speaks Russian, especially in the Crimean Peninsula. The Soviet Union permitted atheism only and either closed the churches in Ukraine or turned them into museums. 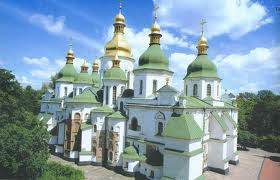 Once Ukraine was a free country, in early 2000, the churches began reopening. Only older citizens, who remembered their religion, returned to the churches. 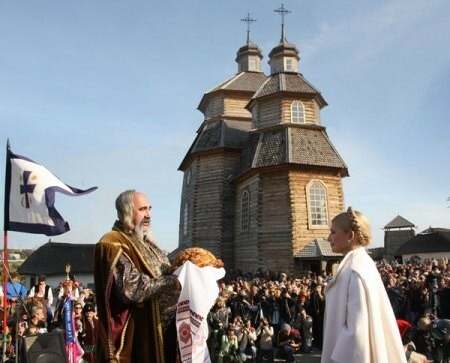 The majority of Ukraine remains unaffiliated with any religion. 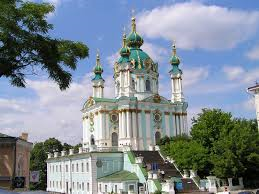 Kyiv Pecherska Lavra Monstery built in 1051 AD – the Cave Monstery. Music: In the Carpathian mountain region, the village folk music is based on the traditional trio of instruments, including the violin, flute, and tsymbaly, or hammered dulcimer. Literature: The earliest writings of the Ukrainians, works produced in Kievan Rus from the 11th to the 13th century, were composed in Church Slavonic. Ivan Kotlyarevsky, classicist poet and playwright, inaugurated modern Ukrainian literature with his Eneida (1798), a burlesque version of Virgil’s Aeneid that transformed its heroes into Ukrainian Cossacks. Modern Ukrainian prose was inaugurated by Hryhorii Kvitka-Osnovianenko’s novel Marusya (1834). The most famous poet in the 19th century was Taras Shevchenko, whose poems depicted the Russian oppression of Ukraine. Josph Stalin purged Ukrain of most of its writers in the mid-1930s when many topics were forbidden (the famine genocide, sexuality, drugs, deviant behavior, etc.).. After 1991, authors deviated from the mandated socialist realism genre and now produce science fiction and fantasy novels. 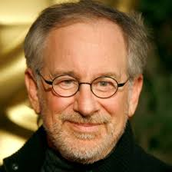 Famous Celebrities: David Cooperfield’s paternal grandparents immigrated to NJ from Odessa. Mila Kunis, born in 1983 in Chernivtsi. Famous for performance as Lily in the Black Swan. 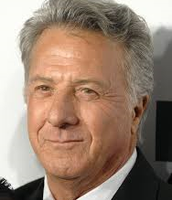 Sylvester Stallone’s great-grandmother came from Odessa. 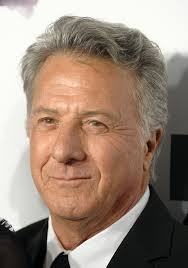 Dustin Hoffman’s family immigrated from Kyiv to the U.S. Steven Spielberg’s grandparents came from Ukraine and his favorite food is Ukrainian borsch. SHCHEDRYK + BANDURA BY S.JAROFF'S DON COSSACKS. Location: Eastern Europe, bordering the Black Sea, between Poland, Romania, and Moldova in the west and Russia in the east. 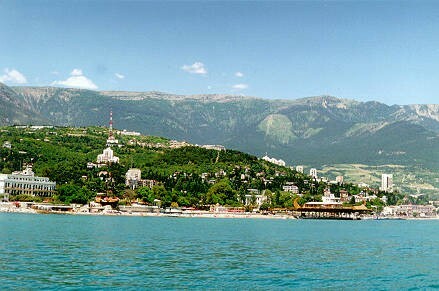 Climate: Temperate continental; Mediterranean only on the southern Crimean coast; precipitation disproportionately distributed, highest in west and north, lesser in east and southeast; winters vary from cool along the Black Sea to cold farther inland; summers are warm across the greater part of the country, hot in the south. Topography: Most of Ukraine consists of fertile plains (steppes) and plateaus, mountains being found only in the west (the Carpathians), and in the Crimean Peninsula in the extreme south. 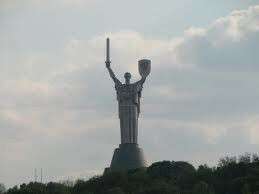 Ukraine’s origins go back hundreds of years, and more than 500 cities there date back 900 or more years. This is a country rich with monuments, archaeological sites, and majestic palace, more than 300 museums. 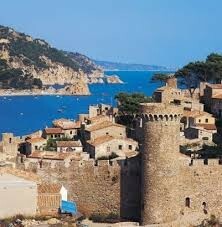 It is the second-largest country in Europe with a long history. Today, Ukrainians are justifiably proud of their hard-won independence and are willing to work and protest to maintain it. They are friendly and helpful, but do resent being called “Russian.” They also resent Americans describing their country as “The” Ukraine because that was the name of a region of the USSR -- Ukraine is the independent country’s name. While they remain proud of their freedom, they also remember better economic times when they were part of the USSR. Many residents in Kyiv cannot afford to pay Black Market prices for fruits from the Crimean Peninsula. Gas prices have skyrocketed, and commerce is restricted due to transportation costs. This is a fascinating time in Ukraine’s history – a time of hope and a time when Ukraine is creating a new government for future prosperity. How the government chooses to align itself – with the west or with Russia – remains to be seen. From Latin, "Hispania," for Iberia, "hispalia," for "city of the sun," and from the Carthaginians, "Spania," for "land of rabbits"
Settlers have migrated to Spain from Europe, Africa, and the Mediterranean since the dawn of history. The Phoenicians, who came in the 8th century B.C., called the peninsula "Span," or hidden land. By the first century B.C. the Romans had conquered Spain. Spain became mostly Christian under the Romans, who were followed by the Vandals and the Visigoths, Germanic peoples from Europe. The Visigoth rulers fought among themselves, and in A.D. 711 Muslims from Africa invaded Spain. Islamic culture spread across Spain as Muslim rulers introduced new crops and irrigation systems, and trading increased. Mathematics, medicine, and philosophy became more advanced, peaking in the tenth century—the golden age of Islamic rule in Spain. In 1492 Christian kingdoms in northern Spain conquered the Muslims and spread the Catholic religion. Enriched by silver from the Americas, Spain grew more powerful. It later lost land and power in the Napoleonic Wars, which ended in 1815. More than 500,000 people died in the Spanish Civil War of the 1930s. 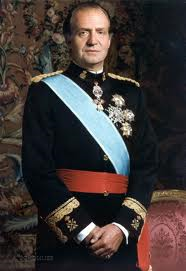 The victorious Gen. Francisco Franco ruled as a brutal dictator until his death in 1975. 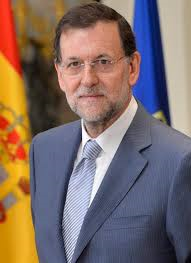 Soon after, Spain began to transform itself into a modern, industrial, and democratic European nation. 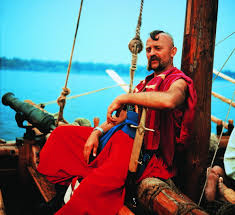 Many Spaniards share a common ethnic background: a mixture of the early inhabitants of the Iberian Peninsula, the Celts, and later conquerors from Europe and Africa. The origins of the Basque people in the north of Spain remain unknown. Recent immigrants from North Africa and Latin America have added to the mix. 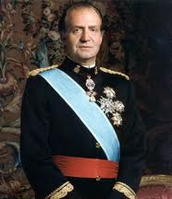 In 1978, Spain created its constitution as part of its “transition to democracy.” In Spain, the king and the elected president share the power. 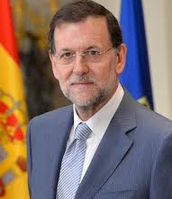 Although there is a national parliament, Spain is one of the most decentralized democracies in Europe. Each of its 17 regions manages its own schools, hospitals, and other public services. Current gov’t event or concern: More recently the government has had to focus on measures to reverse a severe economic recession that began in mid-2008. Austerity measures implemented to reduce a large budget deficit and reassure foreign investors have led to one of the highest unemployment rates in Europe. 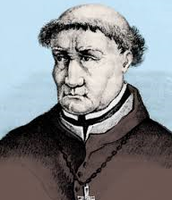 Historical political event: In 1478, Ferdinand II and Isabella I established the Inquisition, to root out heresy and uncover Jews and Muslims who had not sincerely converted to Christianity. 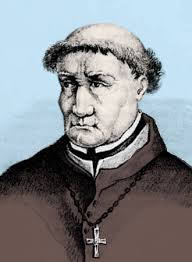 Tomas de Torquemada, the most notorious of the grand inquisitors, epitomized the Inquisition's harshness and cruelty. Although he had been born a Jew, he had converted to Christianity and developed many torturous devices and instruments, including the rack. The last Muslim stronghold, Granada, was captured in 1492. Roman Catholicism was established as the official state religion and most Jews (1492) and Muslims (1502) were expelled. Historical monument: The Alhambra in Granada was a fortified palace complex of the Nasrid Dynasty conquered by the Christians. The Spanish conquistador, Hernan Cortés, conquered the Aztec Empire and brought large portions of Mexico, called New Spain, under the rule of the King Charles V of Castile in 1521. Spain subsequently amassed tremendous wealth and a vast colonial empire in the New World. 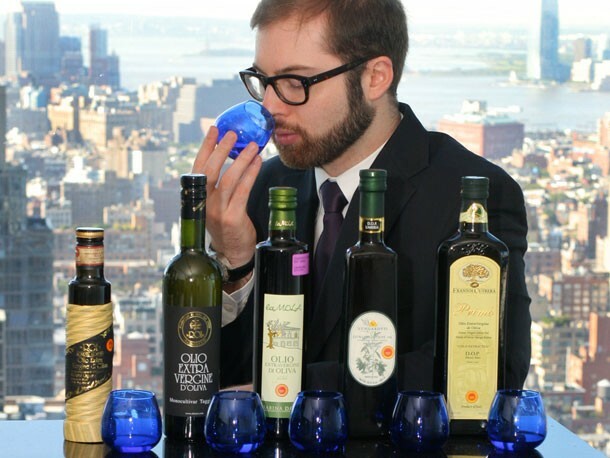 Major economic activities: World’s largest producer of olive oil. Europe’s largest producer of lemons, oranges, and strawberries. Largely agricultural country – produces large crops of wheat, barley, vegetables, tomatoes, olives, sugar beets, citrus fruit, grapes, and cork. Major industries include textiles and apparel, automobiles, electronics. Copper, petroleum. 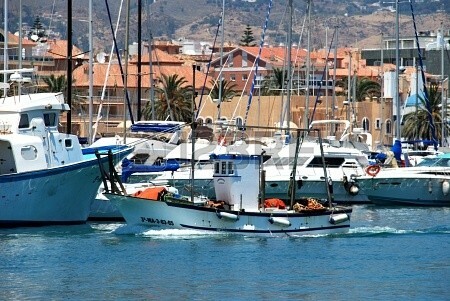 Fishing – sardines, tuna, cod, anchovies. Tourism is Spain’s greatest source of income. 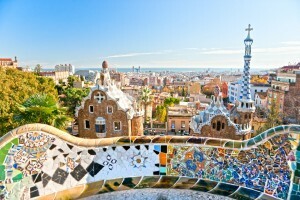 Spain's tourist industry has grown to become the world's second largest. Its beaches, a rich artistic heritage, the variety in gastronomy and a party atmosphere attract millions of visitors to Spain every year. In 1998, Spanish engineers blocked a river contaminated by a toxic spill from creating a major ecological disaster. The river was diverted from flowing into Donana National Park, Europe’s most important wetland and its unique marshes, mobile dunes, and forests by building make-shift dikes on the outskirts of the park. In April 1998, a sudden burst in a Canadian-Swedish company’s zinc mine waste reservoir released one billion gallons of heavy metal contaminants into the Guadiamar River, which flows into the Guadalquivir River and forms the boundary for the eastern side of Donana National Park. 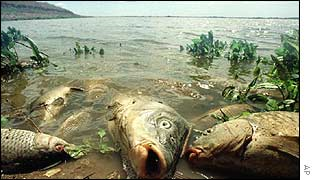 The spill damaged 25,000 acres of farmland along the banks of the Guadalquivir River and cost $100 million to clean up. 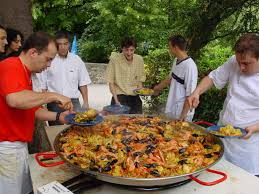 Spaniards are known for their love of life and for eating and drinking with family and friends. 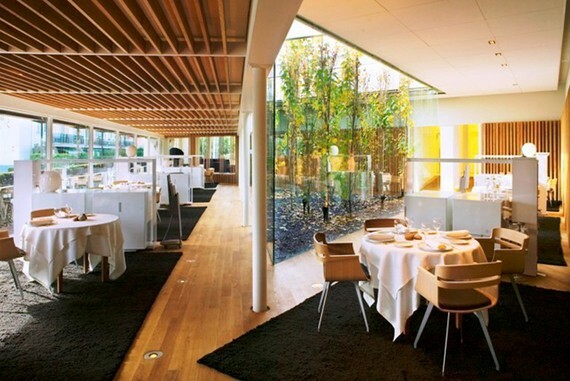 In Catalan, El Cellar de Can Roca was named the 2013 best restaurant in the world. 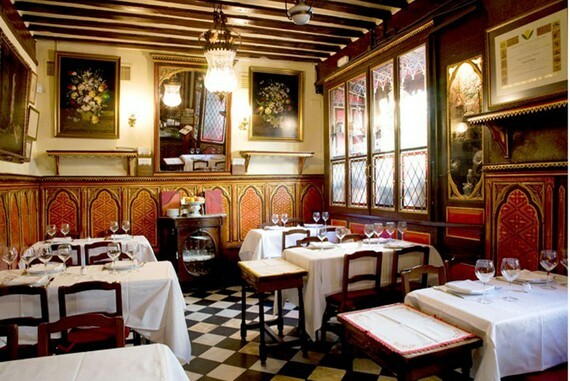 The world's longest-running restaurant is in Madrid - Casa Botín, open since 1725. It is famous for serving traditional dishes of Spain, particularly cochinillo (roast pig), as they were served in the 18th century. The painter Goya once worked there as a waiter. Traditional bite-sized appetizers like tapas or pintxos, the Basque country equivalent, are popular. They vary from town to town and can be made with almost anything, ranging from a chunk of tuna and an olive on a toothpick to a potato omelet or a hot meal on a miniature dish. 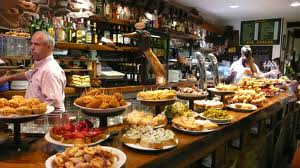 Tapas are served in the bars and cafes in Spain. Since dinner begins at 10 p.m., people snack on tapas all day and evening. Tapas were supposedly invented when King Alfonso X made sure that taverns served food to keep the patrons from getting too drunk. Some tavern owners began serving glasses of sherry covered with a slice of ham. 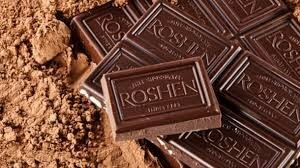 Chocolate was discovered by Spain in the 1500s in the New World. 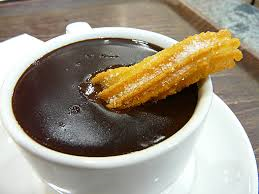 Very thick Spanish hot chocolate is served for breakfast. Other cultural foods include gazpacho (cold tomato soup), gambas al aljillo (shrimp in garlic), flan, churros, croquettes, gazpacho, pisto, pulpo a la gallega (octopus with paprika and olive oil), paella, leche frita (fried milk), sangria, and manchego cheese. From Velázquez in the 17th century, through Goya in the 18th and 19th, to Picasso, Dali and Miro in the 20th, Spain has a rich artistic culture. Spanish Flamenco music and dance are widely admired around the world while Cervantes' novel Don Quixote is one of the landmarks of modern European literature. Spanish film director Pedro Almodóvar has received several international prizes. Regional dances and music are almost as important as soccer and religious festivals. The Roman philosopher Seneca (1 BCE-65 AD) was born in Spain. Epic poem, Cantar de Mio Cid, 1140 AD. About a real man, his battles, conquests, and daily life. Carlos Ruiz Zafon is a modern, famous author from Barcelona. He wrote Prince of Mist and won the Edebe literary prize for young adult fiction. Como agua para chocolate (Like Water for Chocolate) was written by Laura Esquivel in 1989 and subsequently made into an international movie. In 1000 BC, Celtic people settled in northwest Spain and established many musical traditions, including bagpipes (used in the cobla in northwest Spain), drums, flutes, clarinet, and harps. To the east, Castanets and tambourines were used in the Jota along with vocals. The Flamenco was born in Andalusia (southern Spain) and is widely known as an exotic music and dance that came from the gypsies. Paco de Lucia is one of the best known flamenco guitarists. Other famous music styles are bolero, fandango, paso doble, and the zambra. In the 1980s and ‘90s, pop band Bebe was famous. Today, the Gypsy Kings are the most famous pop musical group. 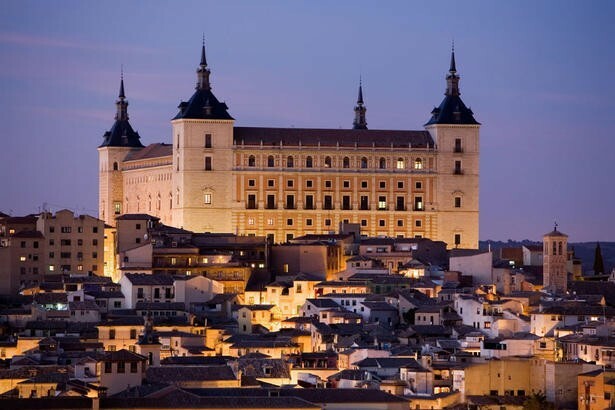 Spain has also produced two famous opera singers who performed with the 3 Tenors: Jose Carreras, born in Barcelona, and Placido Domingo , born in Madrid. Location: Spain is the world's 51st largest country with a landmass of 504,782 square kilometers. 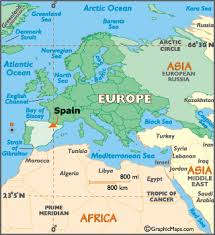 Spain is in Southwestern Europe, borders the Mediterranean Sea, North Atlantic Ocean, Bay of Biscay, and Pyrenees Mountains; and is southwest of France. Spain occupies most of the Iberian Peninsula, stretching south from the Pyrenees Mountains to the Strait of Gibraltar, which separates Spain from Africa. 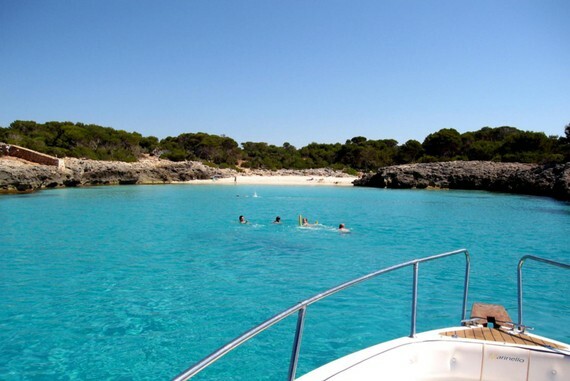 To the east lies the Mediterranean Sea, including Spain's Balearic Islands. Spain also rules two cities in North Africa and the Canary Islands in the Atlantic. 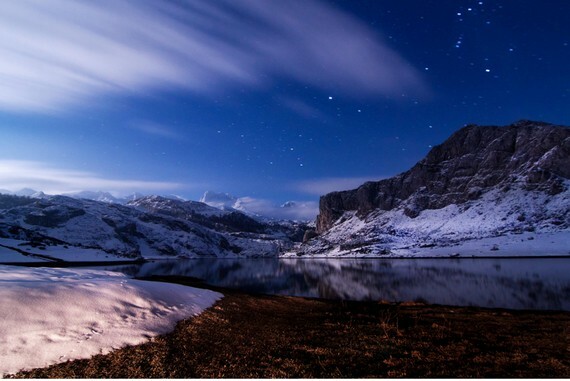 Spain is Europe's second most mountainous country, after Switzerland. 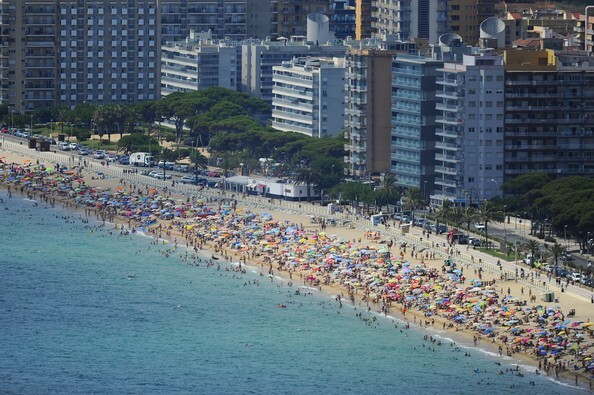 Climate: With over 3,000 hours of sunshine a year Spain has a predominantly warm climate. As such, it is one of the warmest countries in Europe. Its overall climate is temperate; clear, hot summers in interior, more moderate and cloudy along coast; cloudy, cold winters in interior, partly cloudy and cool along coast. The interior of Spain is a high, dry plateau surrounded and crisscrossed by mountain ranges. Rivers run to the coasts, creating good farmland. Still, the interior of the country gets very hot in summer and very cold and dry in the winter. Droughts are common. 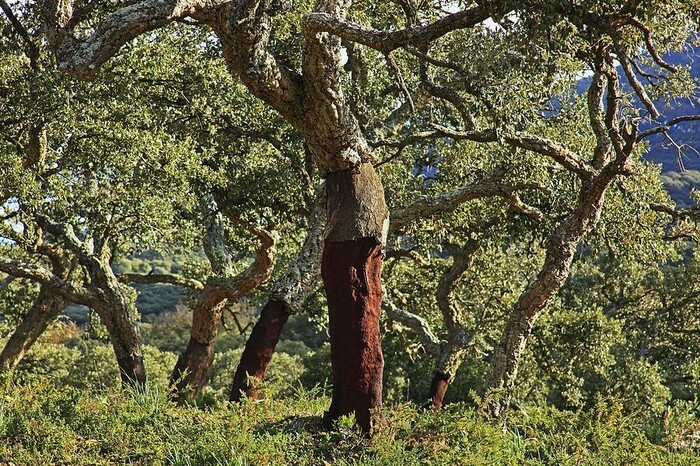 Plants and trees grow so well on the northwestern coast, in Galicia and along the Bay of Biscay, that the area is called Green Spain. Rain, trapped by the mountains farther inland, is frequent. Beech and oak trees flourish here. Numerous coves and inlets break up the coastline. The southern and eastern coasts of Spain, from the fertile Andalusian plain up to the Pyrenees, are often swept by warm winds called sirocco winds. These winds originate in northern Africa and keep temperatures along the Mediterranean coast milder than the interior. Spain conjures images of passionate bullfighters, flamenco dancers, tapas and sangria, white hillside villages, golden beaches, and soaring cathedrals. 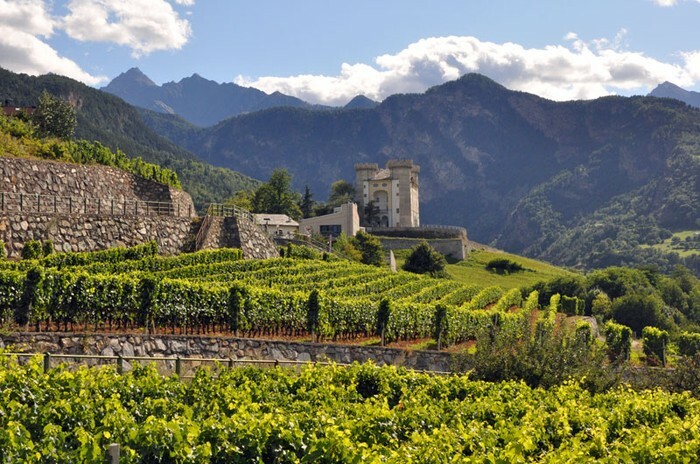 Its diverse landscape is said to “stir the soul” while food and wine are practically a national obsession. 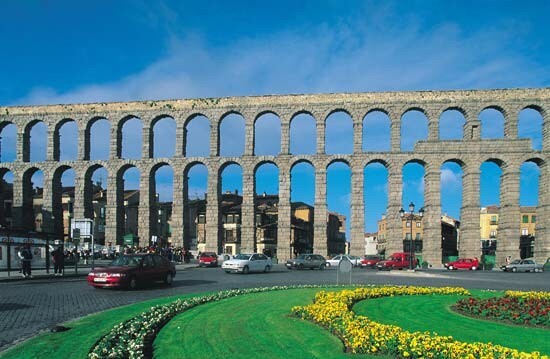 Spain tells its story through art and architecture where Roman ruins abut walls sculpted by Picasso. The Spanish are renowned for living life to its fullest whether they are crossing the esplanades in Barcelona, strolling in the park by the Prado in Madrid, pausing for a siesta on a beach in the Costa del Sol, or watching flamenco dancers in Andalusia until dawn. 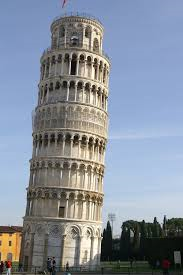 "10 Top Tourist Attractions in Italy." Touropia. N.p., n.d. Web. 12 Jan. 2014. 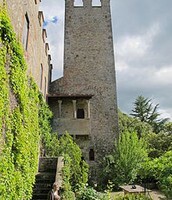 <http://www.touropia.com/tourist-attractions-in-italy/>. 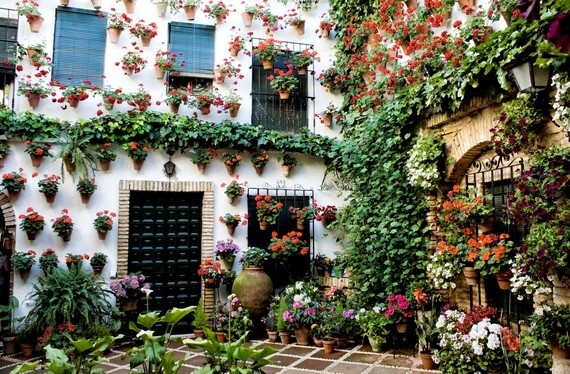 "20 Reasons to Drop Everything and Go to Spain." The Huffington Post. TheHuffingtonPost.com, 15 Jan. 2014. Web. 16 Jan. 2014. 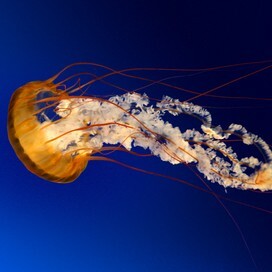 <http://www.huffingtonpost.com/minube/-20-reasons-to-drop-every_b_4601059.html>. "2Ukraine." 2Ukraine RSS. N.p., n.d. Web. 15 Jan. 2014. 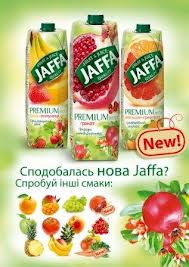 <http://2ukraine.net/2011/03/11/kerch/>. "Agriculture." - Ukraine Digest. N.p., n.d. Web. 15 Jan. 2014. <http://ukraine-digest.com/agriculture>. "Benito Mussolini biography." Bio.com. A&E Networks Television, n.d. Web. 13 Jan. 2014. 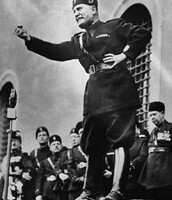 <http://www.biography.com/people/benito-mussolini-9419443>. "Chernobyl." 25th anniversary. N.p., n.d. Web. 12 Jan. 2014. <http://www.boston.com/bigpicture/2011/04/chernobyl_disaster_25th_annive.html>. "Chernobyl ventilation stack removed." Chernobyl. N.p., n.d. Web. 14 Jan. 2014. <http://www.world-nuclear.org/info/Safety-and-Security/Safety-of-Plants/Chernobyl-Accident/>. "Colosseum." , Rome. N.p., n.d. Web. 12 Jan. 2014. 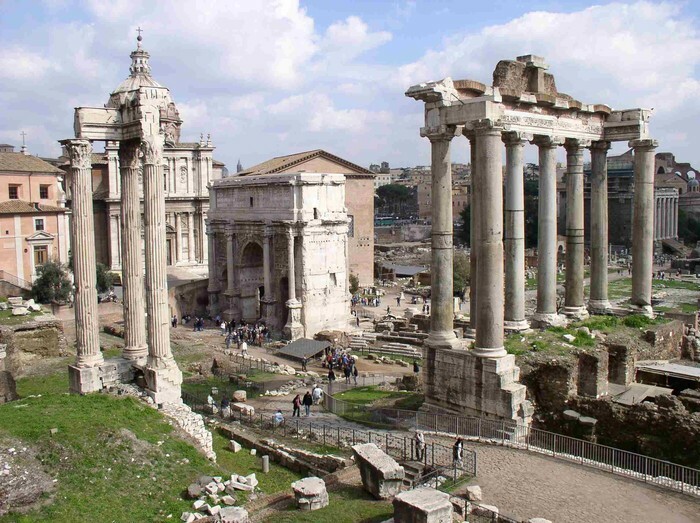 <http://www.aviewoncities.com/rome/colosseo.htm>. "Cooperation Agreement had signed between State Enterprise National infrastructure projects and International Finance Corporation (IFC) on October 3, 2013." InvestUkraine. N.p., n.d. Web. 15 Jan. 2014. <http://investukraine.com>. "Country." Infoplease. Infoplease, n.d. Web. 15 Jan. 2014. <http://www.infoplease.com/>. 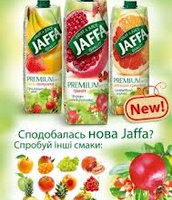 "Cuisine - Flavors and Colors of Ukrainian Culture." Cuisine in Ukraine. N.p., n.d. Web. 15 Jan. 2014. 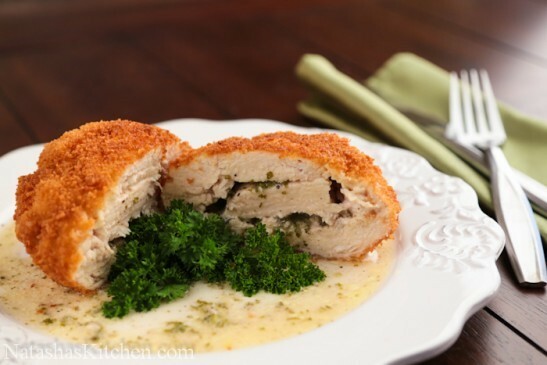 <http://www.ukraine.com/cuisine/>. "Culture of Spain." 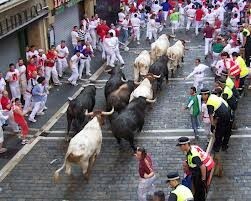 Culture of Spain. N.p., n.d. Web. 14 Jan. 2014. <http://www.mapsofworld.com/spain/culture-spain/>. "Did you know? â€“ Famous Spanish brands | IE & Asia-Pacific." Did you know? â€“ Famous Spanish brands | IE & Asia-Pacific. N.p., n.d. Web. 15 Jan. 2014. 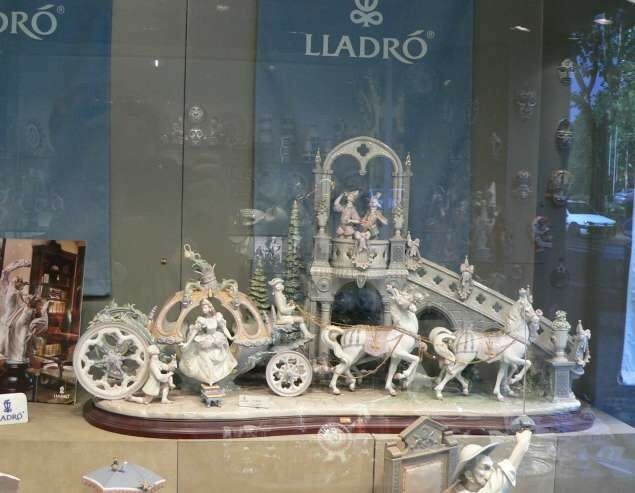 <http://asiapacific.blogs.ie.edu/archives/2007/12/did-you-know-famous-spanish-brands.php>. "Dining & Cuisine." Top 10 foods in Spain â€“ with recipes!. N.p., n.d. Web. 13 Jan. 2014. <http://www.expatica.com/es/leisure/dining_cuisine/Top-Ten-Cuisine-of-Spain_17735.html>. "Economy Watch - Follow The Money." Ukraine Economy. N.p., n.d. Web. 15 Jan. 2014. 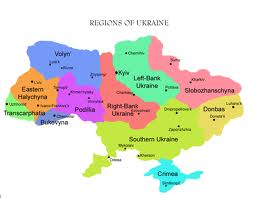 <http://www.economywatch.com/world_economy/ukraine>. "Europe." Central Intelligence Agency. Central Intelligence Agency, n.d. Web. 12 Jan. 2014. <https://www.cia.gov/library/publications/the-world-factbook/>. Factbooks, CIA. "Religions statistics - countries compared worldwide." NationMaster.com. NationMaster, n.d. Web. 15 Jan. 2014. <http://www.nationmaster.com/graph/rel_rel-religion-religions>. "Historic sites in Ukraine." Historic sites in Ukraine. N.p., n.d. Web. 15 Jan. 2014. <http://www.historvius.com/historic-sites-in-ukraine/pl79>. "ItalBrand Top 100 Italian Brands." - 2012 (MPP Consulting). N.p., n.d. Web. 15 Jan. 2014. <http://www.rankingthebrands.com/The-Brand-Rankings.aspx?rankingID=160&year=316>. "Italy Economy Profile 2013." Italy Economy Profile 2013. N.p., n.d. Web. 15 Jan. 2014. <http://www.indexmundi.com/italy/economy_profile.html>. "Italy in View." Italy in View. N.p., n.d. Web. 13 Jan. 2014. 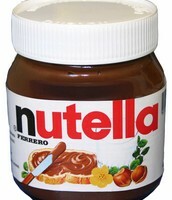 <http://www.italyinview.com/food-and-wine/italian-food/5-most-popular-foods-of-italy/>. "Land use in Ukraine." Total area of Ukraine. N.p., n.d. Web. 15 Jan. 2014. <http://en.worldstat.info/Europe/Ukraine/Land>. "Last.fm." Last.fm. N.p., n.d. Web. 15 Jan. 2014. <http://www.last.fm/music/Italian+Restaurant+Music+of+Italy>. 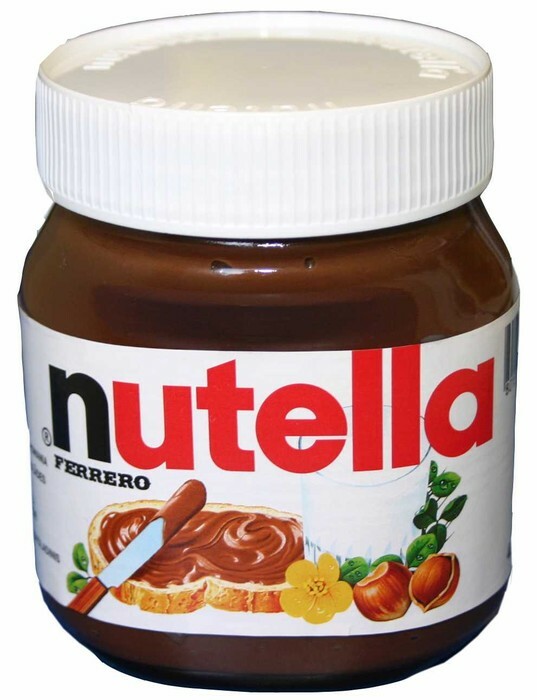 "Popular Foods of Italy." Popular Foods of Italy. N.p., n.d. Web. 13 Jan. 2014. <http://www.yourguidetoitaly.com/popular-foods-of-italy.html>. "SPAIN - COUNTRY AND CULTURE." ALL ABOUT SPAIN. N.p., n.d. Web. 15 Jan. 2014. <http://www.red2000.com/spain/culture-index.html>. "Spanish Literature." donQuijote. N.p., n.d. Web. 13 Jan. 2014. <http://www.donquijote.org/culture/spain/literature/>. "St. Peter's Basilica - Seminarians Tour." St. Peter's Basilica - Seminarians Tour. N.p., n.d. Web. 15 Jan. 2014. <http://saintpetersbasilica.org/Docs/seminarians.htm>. "TRAVEL TO UKRAINE." Travel to Ukraine. N.p., n.d. Web. 15 Jan. 2014. <http://www.traveltoukraine.org/>. "Ukraine." Economy: Population, GDP, Inflation, Business, Trade, FDI, Corruption. N.p., n.d. Web. 14 Jan. 2014. <http://www.heritage.org/index/country/ukraine>. "Ukraine and Ukrainian Arts & Culture at BRAMA - Music." Ukraine and Ukrainian Arts & Culture at BRAMA - Music. N.p., n.d. Web. 15 Jan. 2014. <http://www.brama.com/art/music.html>. "Ukraine's Euromaidan: Now Comes the Hard Part." name. N.p., n.d. Web. 15 Jan. 2014. 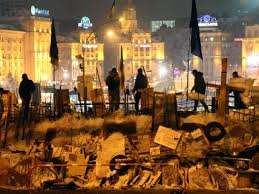 <http://www.americanprogress.org/issues/security/news/2013/12/23/81532/ukraines-euromaidan-now-comes-the-hard-part/>. 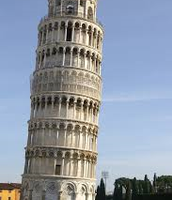 "Walks of Italy Rome Tours, Vatican Tours, Venice Tours, Florence Tour." Walks of Italy. N.p., n.d. Web. 15 Jan. 2014. 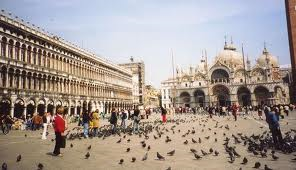 <http://www.walksofitaly.com>. "ÐšÐ Ð£ ÐÐ»ÑƒÐ¿ÐºÐ¸Ð½ÑÐºÐ¸Ð¹ Ð´Ð²Ð¾Ñ€Ñ†Ð¾Ð²Ð¾-Ð¿Ð°Ñ€ÐºÐ¾Ð²Ñ‹Ð¹ Ð¼ÑƒÐ·ÐµÐ¹-Ð·Ð°Ð¿Ð¾Ð²ÐµÐ´Ð½Ð¸Ðº." RSS. N.p., n.d. Web. 15 Jan. 2014. <http://worontsovpalace.com.ua/>. "ÐšÐ¾Ð·Ð°Ñ†Ñ‚Ð²Ð¾ Ð’Ð¾Ð»Ð¸Ð½Ñ– Ð²Ð·ÑÐ»Ð¾ ÑƒÑ‡Ð°ÑÑ‚ÑŒ Ñƒ ÑÐ²ÑÑ‚ÐºÑƒÐ²Ð°Ð½Ð½Ñ– Ð´Ð½Ñ–Ð² Ð£ÐºÑ€Ð°Ñ—Ð½ÑÑŒÐºÐ¾Ð³Ð¾ ÐºÐ¾Ð·Ð°Ñ†Ñ‚Ð²Ð°." ÐÐ°Ñ€Ð¾Ð´Ð½Ñ– Ð±Ð»Ð¾Ð³Ð¸. N.p., n.d. Web. 15 Jan. 2014. <http://narodna.pravda.com.ua/rus/nation/4ada1efc6f8e5/>.